The Woodrow Wilson Presidential Library and Museum has announced its winter schedule. The Library will be open for interpretive tours of Woodrow Wilson’s birthplace, self-guided tours through the museum and the period garden, and the President’s Shop from 9:00 a.m. to 5 p.m. Thursday through Monday, and 12 p.m. through 5 p.m. on Sundays and will be closed Tuesday and Wednesday during the months of January and February. The Presidential Library will resume daily operations on March 1, 2015. 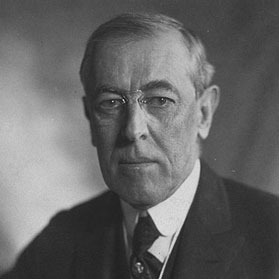 The archival collections remain accessible through the e-library at www.woodrowwilson.org or by appointment.